There’s no questioning Kyle Connor’s contributions to the Winnipeg Jets’ 52-win 2017-18 season. 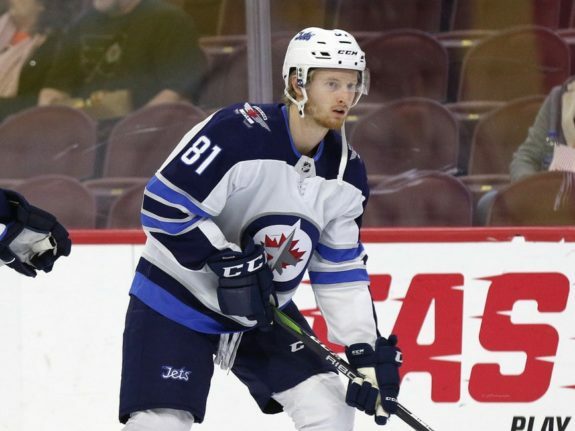 The 21-year-old exploded onto the scene last year, posted 31 goals and 26 assists in 76 games, and quickly became one of the Jets’ most dynamic and dangerous players. The question leading into this season is what Connor will do as an encore to his Calder Trophy-nominated campaign and whether he will regress. After analyzing a number of factors, it’s clear Connor’s season was no fluke and all indicators point to his success being sustainable. Connor assisted nine (39.13 percent) of Blake Wheeler’s goals and four (17.39 percent) of Scheifele’s goals. 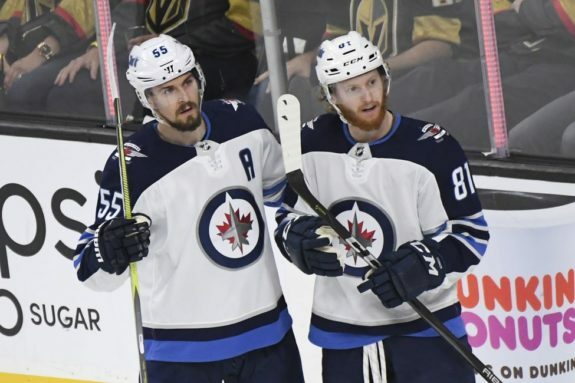 Wheeler and Scheifele fed Connor plenty of apples as well, accounting for both assists on seven (22.5 percent) of his goals. This year, the top line is set in stone and will be together right from the get-go. There will be no feeling-out process or learning curve for Connor this time around. Wheeler and Scheifele looked prime in the preseason, and even though Connor played in just two tune-up tilts due to a minor neck injury, he looked ultra-comfortable with his bosom buddies, tallying two points, including a goal on lightning-quick release after receiving a Scheifele backhand pass. The line is lethal in a litany of ways. They produce chances on the rush and in transition. They create turnovers. They have a near-supernatural ability to know exactly where each other are on the ice. They cycle the puck at a dizzying pace. They snipe like sharpshooters. Keying on one doesn’t work — all three can burn their opposition at any time. Double-teaming one just means the other two guys have more space to wheel and deal. If Kyle Connor’s skill set was a suit of armour, it’d be chink-free. Analysis of the left-winger’s assets and underlying statistics show his clip, which he’ll be looking to surpass this year, is sustainable. First and foremost, the 6-foot-1, 180-pound forward has a great, often freakishly-accurate shot. He only needs a split-second of space to find twine. His shooting percentage was an eye-popping 16.1, which, often, would be a tough mark to replicate. However, an analysis done by Sportsnet.ca’s Andrew Berkshire last March shows, for Connor, a shooting percentage in the mid to high teens could be repeatable. Berkshire’s analysis revealed Connor is in the upper echelon of all NHLers when it comes to producing high-danger scoring chances and 5-on-5 opportunities. “Based on the sheer number of scoring chances Connor generates, and the ability of his most common linemates to get him the puck in a shooting position, it may not be so abnormal for him to sustain his sky-high shooting percentage,” Berkshire opined. Part of producing scoring chances is being sure one’s shot attempts actually get on net and Connor excelled at that as well. 66.7 percent of his shot attempts went on goal, tied for best on the team. Connor, in general, is a picture of consistency. He produced a point in 37 (48.68 percent) of his 76 regular season games. He largely avoided long scoring slumps, his longest drought being a six-gamer between Mar. 2 and Mar. 12. Lastly, Connor is clutch. Seven (22.5 percent) of his goals last year were game-winners, which included three overtime winners in a two-week span. Having a player who plays his best in the biggest moments is of immeasurable importance. 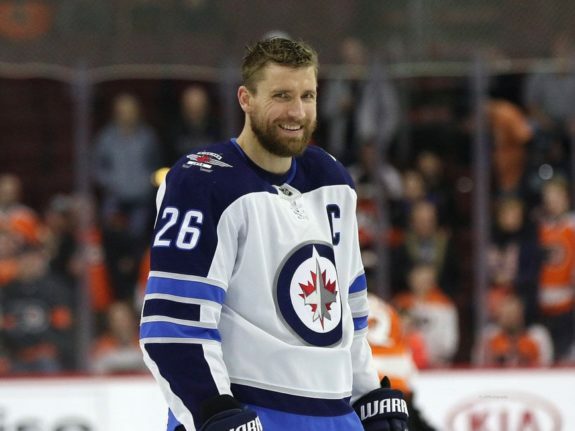 If Connor, Wheeler, and Scheifele are relatively healthy this year (Jets fans, take a break from reading and find some wood to knock on), Connor could easily up his point total to 70. He knows he will have to find an even higher gear and continue to grow if he wants to reach that threshold, though. Wheeler thinks Connor can achieve even more, as well. It’s Jets fans who are lucky to have such riches on offence and so many potentially game changing players. 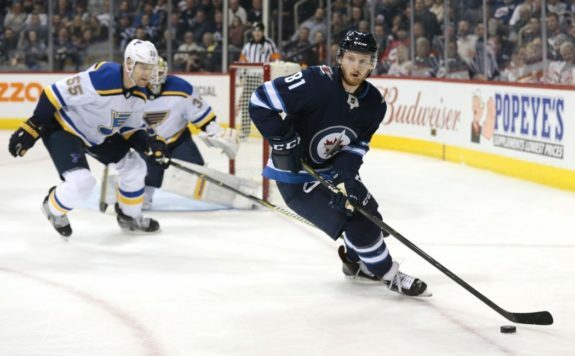 Connor’s encore performance is just one reason to keep close tabs on what should be an exceedingly exciting season of Jets hockey, a season that gets underway Thursday in St. Louis. Indeed, Connor’s campaign, by all indications, should be highly productive and the year he transitions from a “young gun” to a bonafide big gun.